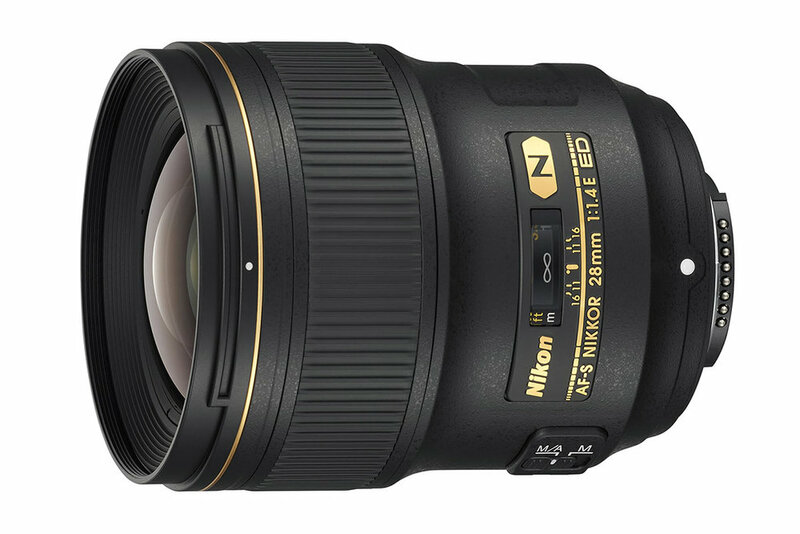 Nikon’s 28mm f/1.4 is an ultra-fast wide-angle lens designed to bolster its full-frame line-up. While the slightly unusual focal length is a tad too long for serious landscape work, it offers a wealth of possibilities, from street to portrait or wedding and event photography, allowing you to get close to your subjects, or frame more than a traditional 35mm. The wide f/1.4 maximum aperture means you can easily shoot hand-held in darker conditions, though given its wide focal length, you won’t get a shallow depth-of-field or much in the way of bokeh. However, this is a very sharp lens, with excellent central image quality, even wide open, and corners which catch up quickly, becoming sharp at f/5.6. Because it’s a prime lens, it handles distortions well, lacking any obvious barrel-distortion or chromatic aberration, as well as dealing with ghosting and flare well. However, at 645g, it’s not the lightest or easiest handling travel lens. We have to question whether the great image quality, fast aperture and unique focal length justify the expenditure when there are excellent alternatives around the more versatile 20-35mm focal lengths.